From the first vat-grown hamburger to the discovery of the world’s largest volcano, scientists pushed back the limits of human knowledge in 2013 and developed technologies that could radically change how we live our lives. Over at the Science Media Centre, in conjunction with our colleagues at the AusSMC, we assembled the top 10 picks for the most significant science stories of the year. Contact the SMC if you would like more information about any of these stories, including copies of the research papers associated with them. It was also a big year for New Zealand science with researchers publishing studies in some of the world’s most influential journals. See below for our Top 10 list of New Zealand science stories that captured the public’s attention in 2013. 1. 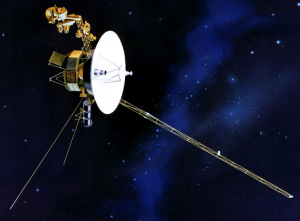 Space sounds revealed Voyager 1 had boldly gone: In September, NASA’s Voyager 1 spacecraft became the first man-made object to leave our solar system and venture into interstellar space. The probe, launched in 1977 with the aim of reaching Jupiter and Saturn, is now over 19 billion kilometres from the sun. Scientists listened in to vibrations in the plasma surrounding Voyager – the sound of interstellar space – after it was hit by a massive solar wave in April. The vibrations allowed them to calculate the plasma’s density, which differs between our solar system and interstellar space, confirming Voyager was no longer in our solar system. 2. Carbon dioxide hit a new peak and human influence on the climate was clearer than ever: In May, levels of carbon dioxide in the Earth’s atmosphere reached a symbolic milestone, passing 400ppm (parts per million) for the first time in human history. Just a few months later in September, the leading international body for the assessment of climate change, the Intergovernmental Panel on Climate Change (IPCC), found that human influence on the climate system is clearer than ever -we are now 95 percent certain that humans are the cause of global warming. Climate scientists from New Zealand were among the more than 600 scientists and researchers who worked on the IPCC report. 3. Scientists created human stem cells using cloning techniques: In May, researchers used therapeutic cloning tocreate human embryonic stem cells for the first time. The process involved taking the nucleus – which contains the genetic material – from a normal cell and transferring it into an unfertilised egg with its own genetic material removed. While this approach had previously been used in monkeys and mice, it had never succeeded using human cells. This discovery, described by Australian scientists as “a major breakthrough in regenerative medicine”, could help develop personalised therapies for a range of currently untreatable diseases. However, the process requires human donor eggs, which are not easy to obtain, and raises a number of ethical issues. 4. Do you want fries with that? The world’s most expensive burger was grown in the lab: The world’s first lab-grown burger was cooked and eaten at a news conference in London in August this year – generating headlines around the world. The burger patty – which one food critic described as ‘close to meat’ – was developed by scientists fromMaastricht University in the Netherlands through research funded by Google co-founder Sergey Brin. Starting with stem cells from a biopsy of two cows (a Belgian Blue and a Blonde d’Aquitaine), the scientists grew muscle fibres in the lab. The fibres were pressed together with breadcrumbs and binding ingredients, then coloured with beetroot juice and saffron, resulting in the most expensive hamburger in history at a cost of around NZ$400,000. 5. Doctors stopped HIV in its tracks in the “Mississippi baby”: A child born with HIV and treated with a series of antiviral drugs for the first 18 months of its life was found to be free of the virus more than 12 months after treatment ended. When the infant was 30 months of age, HIV-1 antibodies remained completely undetectable. However, the big question of whether this child, known as the “Mississippi baby”, has truly been cured of HIV remains unanswered. “The best answer at the moment is a definitive maybe”, HIV expert Scott Hammer, wrote in a New England Journal of Medicine editorial which accompanied the research. 6. Redefining mental illness: In May, the new version of the diagnostic reference manual used by clinicians in the U.S. and around the world to diagnose mental disorders was released. The fifth revision of the Diagnostic and Statistical Manual of Mental Disorders (DSM-5) is the first update in nearly 20 years and followed a decade of review and consultation. It’s publication met with widespread controversy. One of its major changes is to introduce a graded scale known as Autism Spectrum Disorder combining the former four autism-related disorders: autistic, Asperger’s, childhood disintegrative, and pervasive developmental disorder. Elsewhere, several new disorders were added, new suicide risk assessment scales were introduced and the threshold for diagnosing Post Traumatic Stress Disorder (PTSD) was lowered. Critics of DSM-5, including New Zealand experts, argue that it will lead to the over-diagnosis of mental disorders, stigmatising millions of people who are essentially normal. 7. Human liver grown in mouse: Scientists successfully transplanted tiny ‘liver buds’ derived from human stem cells into mice with disable immune systems, staving off the deaths of the animals. The preliminary results, published in Nature, will need years of follow-up research and trials, but hint at a potential solution to the worldwide scarcity of human livers available for transplant. Major technical hurdles have to be overcome before the treatment is useful for humans, including mass-producing the trillions of human iPS-derived precursor cells to even replace even part of a human liver. 8. A king turned up in a car park: In February the bones of Richard III were discovered in the inauspicious surroundings of a car park in Leicester, England – more than 500 years after he died. Radiocarbon dating, radiological evidence, DNA and bone analysis all helped confirm the identity of last Plantagenet king. As if the indignity of being dug up in a car park wasn’t bad enough, further research revealed Richard was infected with roundworms in his intestines. 10. The world’s largest volcano was discovered: In September, scientists discovered the largest single volcano on Earth under the Pacific Ocean. The megavolcano spans 650 km – similar to the distance between Melbourne and Canberra – but don’t worry, it’s been slumbering for the last 145m years. Scientists had thought the volcano, known as Tamu Massif, was a series of volcanoes, but the Integrated Ocean Drilling Program – of which Australia is a partner – showed that it is in fact a single, immense volcano, constructed from massive lava flows that emanated from the volcanic centre to form a broad, shield-like shape. 1. The big dry: The year started with incredibly dry conditions that soon had farmers throughout the country struggling to feed their animals. The entire North Island was officially declared a drought zone and ongoing water restrictions were imposed in many regions. A comparative study on the 2013 drought released by the Ministry for Primary Industries (MPI) confirmed it as one of the most extreme on record for New Zealand and the worst since 1945-46. Scientists also concluded that farmers would have to employ more extensive catchment infrastructure to prepare for a future of more frequent droughts as a result of climate change. 2. Viagra for pregnant women? : Researchers from Gravida and the University of Auckland embarked on the world’s first clinical trial of a new therapy that adapts a well-known drug – sildenafil, the generic form of Viagra, for use in pregnant women whose babies have been diagnosed with intrauterine growth restriction. Growth restriction in utero is a potentially serious pregnancy complication with no current treatment options. The New Zealand trial is the culmination of 15 years work and part of a coordinated international effort to translate promising preliminary results into tangible benefits for pregnant women. 3. Capital rattled by earthquakes: A magnitude 6.5 earthquake beneath Cook Strait in July and subsequent aftershocks reminded New Zealanders of just how active a seismic region we all live in. The earthquakes caused damage to buildings in central Wellington and in Seddon, close to the epicentre. The quakes also posed a puzzle for scientists who are still getting to grips with what exactly happened on what faults beneath Cook Strait. Unlike the Canterbury earthquakes however, the Cook Strait series were not unexpected. As GNS Science seismologist Ken Gledhill commented: “It is something that happens every few decades if you actually look at the historical record. These things happen periodically. What we know about this series of earthquakes and particularly the one last night, was that they were in the overlying Earth’s crust”. 4. Fluoridation in the spotlight: Hamilton City Council’s decision in July to suspend fluoridation of the town water supply sparked widespread debate about the use of the compound to combat tooth decay. The move went against Ministry of Health and World Health Organization guidelines and was widely condemned by dental experts who reviewed claims around the risk of fluoridation and found them to be unsubstantiated. An injection of scientific reality into the discussion came via the University of Otago’s Dr. Jonathan Broadbent who fronted numerous media interviews to explain the body of peer-reviewed literature that overwhelmingly supports fluoridation at recommended levels. A subsequent public referendum held in October saw 70 per cent of Hamiltonian voters opt for a resumption of fluoridation. The Council has reserved its decision on whether to do so until it hears the outcome of a High Court case in New Plymouth, where the right of the local authority to fluoridate the water supply is being challenged. 5. Fonterra’s food scare: New Zealanders became acquainted with the microbe clostridium botulinum when dairy giant Fonterra revealed its milk powder may have been tainted with the potentially deadly bacterium. Fonterra quickly moved to recall shipments of infant formula, sparking a trade crisis for the Government and diplomatic tensions with the likes of China, Russia and Sri Lanka. Further testing of milk powder samples revealed that it wasn’t clostridium botulinum that had been detected, but the similar but inoccuous clostridium sporogenes, which can lead to food spoiling but is essentially harmless. The episode, which has cost Fonterra tens of millions of dollars, sparked several inquiries, the first of which has called for an overhaul of Fonterra’s crisis management practices and better procedures for using external scientific testing. 6. Sugar babies research: A study of babies born at Waikato Women’s Hospital in Hamilton between 2008 and 2010 found that a cheap and easy-to-administer dextrose gel should be used to treat low blood sugars in newborns, a condition that affects 5-15% of newborns and, in severe cases, can lead to brain damage. The study, carried out by researchers from the University of Auckland and Waikato Hospital, was published in leading medical journal The Lancet. Babies who developed hypoglycemia were randomly assigned to one of two groups, receiving either 40% dextrose gel or a placebo gel for up to six doses over 48 hours – in addition to standard care. The babies who received dextrose gel were half as likely to exhibit further substantial drops in blood sugar levels and less likely to be admitted to intensive care for hypoglycaemia. The study received widespread international attention. 7. Understanding the kiwifruit blight: The genome of Psa-V, the causal agent of bacterial canker of kiwifruit, was sequenced by a team of scientists at the University of Otago, with the resutls published in PLoS ONE. The study confirmed a Chinese origin for the bacteria and revealed genetic clues about why this variant of the plant diseasedevastated New Zealand kiwifruit crops. They also found distinct genetic ‘islands’ encoding traits that may make the disease more aggressive. These appear to have been transferred from bacterial strains attacking unrelated plants on at least three separate occasions, and may have triggered the virulent outbreaks seen. 8. Distant neutrinos detected: The international IceCube research team, which includes several New Zealanders working with scientific instruments buried two kilometres down beneath the South Pole, detected for the first time, neutrinos from outside of our solar system. The research published in the journal Science detailed the observation of 28 very high-energy particle events that constitute the first solid evidence for astrophysical neutrinos from cosmic sources. Billions of neutrinos pass through every square centimeter of the Earth every second, but the vast majority originate either in the sun or in the Earth’s atmosphere. Far rarer are neutrinos from the outer reaches of our galaxy or beyond, which have long been theorised to provide insights into the powerful cosmic objects where high-energy cosmic rays may originate: supernovas, black holes, pulsars, active galactic nuclei and other extreme extragalactic phenomena. 9. No patch on e-cigarettes: The first ever trial to compare e-cigarettes with nicotine patches found that both methods result in comparable success in quitting, with roughly similar proportions of smokers who used either method remaining abstinent from smoking for six months after a 13 week course of patches or e-cigarettes. The study, undertaken by researchers from the University of Auckland, was published in The Lancet and presented at the European Respiratory Society (ERS) Annual Congress in Barcelona, Spain. The researchers noted that trial participants who took part in the study seemed much more enthusiastic about e-cigarettes than patches. 10. Genetic diversity and the Wairau Bar: University of Otago researchers sequenced the mitochondrial DNA from several human samples extracted from the Wairau Bar burial site in the Northern South Island, revealing there was a greater level of genetic diversity than expected in the early settlers of New Zealand. The results, published inProceeding of the National Academy of Sciences, cast doubt upon the theory that New Zealand was settled via small accidental or unplanned voyages. Such a settlement pattern would have eliminated much genetic diversity, the researchers said. New Zealand is believed to be the last major landmass to be permanently settled by humans.